As the leader in innovative, evidence-based opioid use disorder treatment, BayMark Health Services is dedicated to providing individualized treatment options integrating pharmacotherapy, clinical counseling, recovery support and medical services. Our goal is to help the individuals we serve overcome the disease of addiction and attain positive, productive lives in recovery. BayMark’s addiction treatment programs deliver medically-supervised services for adults in a variety of modalities and settings. As the largest specialty organization in North America addressing the opioid crisis, we work to assess and match our patients across the United States and Canada with the treatment that best meets their needs. Our programs offer services at varying levels of care including outpatient medication-assisted treatment and detoxification and inpatient care. While these programs focus primarily on the treatment of opioid use disorder, whether it be prescription pain medication or illicit opiate use, BayMark also offers detoxification from alcohol or other prescription medications in select locations. Structured Opioid Treatment Programs (OTPs) utilize all three FDA approved medications including methadone, buprenorphine and naltrexone. These medications are proven to combat the physical symptoms of opioid withdrawal and prevent relapse. Combined with counseling, this approach is the gold standard of treatment for opioid use disorder. Our highly structured programs offer patients evidence-based treatment in an environment that provides the support they need to experience long-term recovery. All centers are CARF certified, signifying the highest levels of quality of care and commitment to the communities we serve. These outpatient treatment clinics, often referred to as office-based opioid treatment programs (OBOT), specialize in treatment with buprenorphine and buprenorphine compounds like Suboxone® supported by counseling. Services are offered in an environment similar to a physician’s office, but with direct access to licensed, professional counselors who specialize in addiction. This approach to treatment utilizes medication and ongoing counseling to control withdrawals and cravings in a more flexible setting than a structured OTP. Outpatient withdrawal management, also known as detoxification or “detox”, is available for addiction to prescription medications including benzodiazepines and opioids, heroin and alcohol. Detox can also provide support when stopping other medication-assisted treatment protocols including methadone and buprenorphine. Detox with naltrexone therapy typically takes between 3-8 days, providing an alternative to inpatient detoxification for those seeking a more flexible option. Inpatient medical stabilization and withdrawal management services are offered for adults with drug, alcohol and related health issues. During a medically supervised hospital stay that typically lasts 3 days, the patient’s withdrawal symptoms are managed with medication while other fundamental needs are assessed so that appropriate referrals and discharge planning can be completed after the patient has been fully stabilized. Working with commercial insurers, state Medicaid programs and grant providers is a priority for BayMark at every level of care. It is a key component in our quest to provide comprehensive treatment that is accessible and affordable for all seeking help. 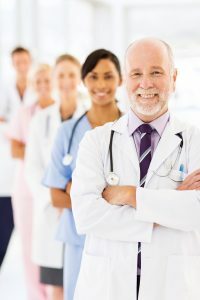 BayMark continues to develop and improve our life-saving treatment options in service of our mission to provide comprehensive medication-assisted treatment for opioid use disorder and other health care services to foster wellness, longevity and socially responsible behavior for the patients we serve. Currently we are honored to treat more than 50,000 patients each day in our programs across the US and Canada. Your ticket for the: BayMark Health Services, Inc.